Celebrate life's special moments at the Mountain Lake Lodge. Surrounded by the natural beauty of Virginia's Blue Ridge Mountains, it's a place where family and friends gather and create unforgettable memories. Our passionate people and creative teams work closely with you to ensure that your weddings and special events are everything you envisioned. We love sharing this place with you and being part of your story. With more than 30 years of hospitality experience, Heidi Stone has been General Manager of Mountain Lake Lodge in Pembroke, VA since 2014. She has been responsible for leading an extensive seven-year grassroots effort that has transformed Mountain Lake - the resort where the cult classic Dirty Dancing movie was filmed - into a thriving, award-winning lodging destination. 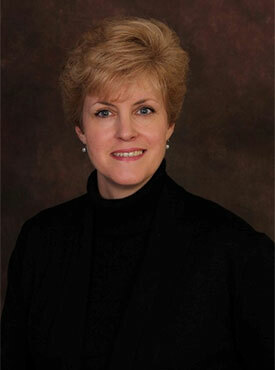 She was recently named Hotelier of the Year by Virginia Restaurant, Lodging & Travel Association. In addition, Mountain Lake Lodge was named Hotel of the Year. According to Mountain Lake Board Member, Bob Donovan, "Mountain Lake Lodge would not exist today if it wasn't for Heidi Stone. When I first visited in 2011, it was rundown, stale and neglected. The Endowment was considering closing the property, not sure we could save this worn out gem. So we hired a talented hotelier and true visionary whose insight and passion has not only saved Mountain Lake but made it a very successful resort." Under Stone's leadership, occupancy, revenues and group business have all soared and the resort has seen consistent growth every year since she took over. "I am convinced that Mountain Lake would not exist today were it not for the most talented hotelier I have ever known - Heidi Stone," added Donovan. Before joining the Lodge, Stone served as Director of Sales and Marketing for the independent, four-star High Peaks Resort in Lake Placid, NY for five years. She began her tenure in 2008 and built the sales and marketing department from scratch. Despite an economic downturn, by 2010 the resort was thriving and finished 30% over budget. Prior to her position with High Peaks, Stone lived in Richmond, VA where she served as Director of Sales and Marketing for The Berkeley Hotel. Over the years, she has worked with such top brands as Hilton, Doubletree, Disney World, Peabody Hotels, Omni Resorts and Lane Hospitality. During her career, Stone has liaised with hundreds of professional meeting planners, Fortune 500 companies and government contract groups, sports celebrities and legendary Olympic athletes, TV icons and elite travel writers around the world. A native upstate New Yorker, Stone earned her degree in hotel and restaurant management from SUNY. She has had the goal of becoming the general manager of a resort since her teens. 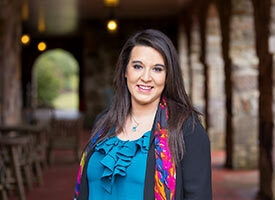 Lyndsi Hale has been an event coordinator and catering sales professional in Southwest Virginia for over 7 years. She currently resides in Blacksburg with her husband and dog Eli. When she's not coordinating fabulous events at Mountain Lake Lodge, you can find her gardening, kayaking on the New River, traveling or spending time with family and friends. As a member of the Mountain Lake Team, Lyndsi knows event coordination can be an intimidating process, and there are many tasks that can be overlooked. Her experience provides a wealth of information for brides and event planners, which translates into a smooth, efficient planning process and extraordinary weddings for any bride! Her warm, enthusiastic personality and flawless attention to detail has helped to create many fabulous weddings and successful events over the years.